Imagine a friendly Santa Marta accommodation in the middle of the lush rainforests of the Sierra Nevada, overlooking the green hills and the ocean on the background. 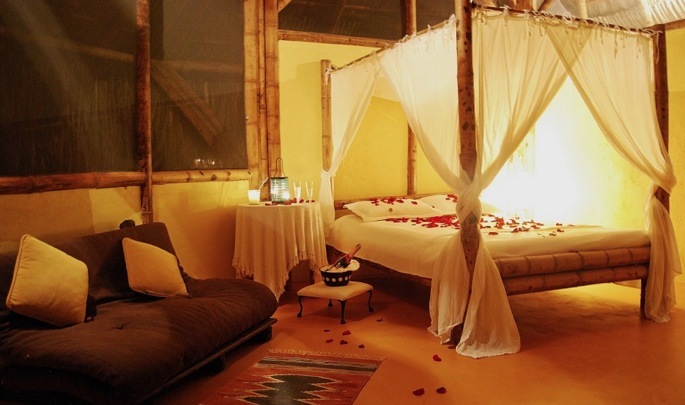 Ecohabs Minca is the ideal getaway for travellers looking to escape their busy lifestyles and immerse in the best that nature has to offer. Minca is the first town in Siera Nevada, located in a beautiful place with rivers and amazing natural waterfalls. 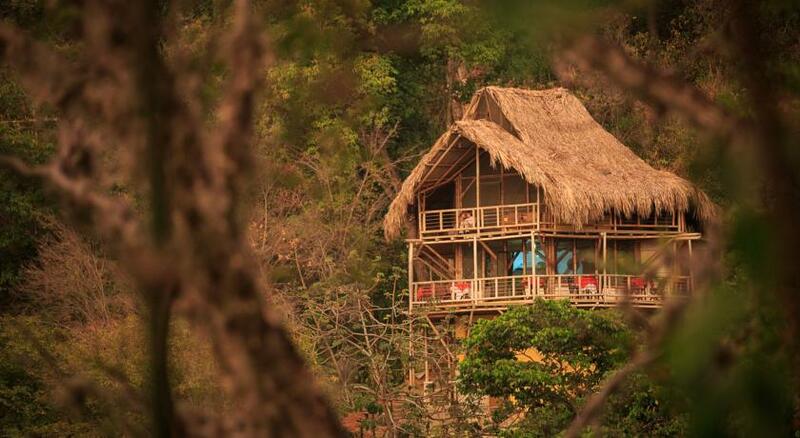 It is at one hour from the beaches of Tayrona Park. Ecohabs Minca is the result of a successful ecotourism project in the Sierra Nevada that focuses on Permaculture, Bioconstruction and Community Development. All aspects of this Santa Marta resort come together in a unique harmony that is both luxury for the traveller and sustainable for the environment. 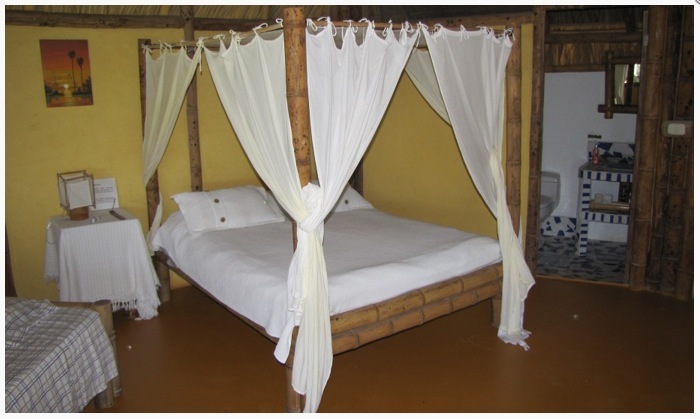 Apart from responsible accommodation in Santa Marta, Ecohabs Minca offers organic vegetarian cuisine, bird watching tours, ecological trails and hikes, and ecoadventure sports. Sierra Nevada de Santa Marta is one of the places with more variety of birds in the world. Birds likes Caribbean Tucan, Oropendolas, Colibries, and another animal species like butterflies, spiders, etc... At 2 hours by car from Minca we find El Dorado Nature Reserve, ideal to observe the endemics species of Sierra Nevada. You can also enjoy a night Safari to see some animals that live around Minca and can only be watched in the deep of night. SENDERO ESPIRITUAL: to reach the Rincon del pensamiento, a beautiful place to meditation, get inspires with the view and listen to silence of nature. HACIENDA LA VICTORIA: with a museum dedicated to coffee, was founded 100 years ago. 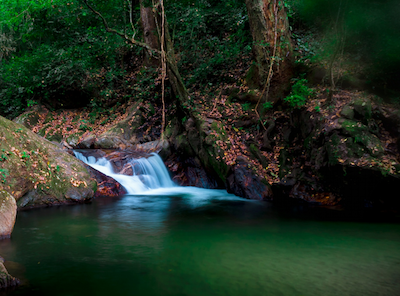 POZO AZUL:about 45 minutes from Minca, you find beautiful waterfalls where to refresh in the middle of the forest. CASCADAS MARINKA: at 2Km from Minca, two big waterfalls where you can bath in its cold waters. CAMINATA DE AVENTURA: a trip through mountains, forest and rivers to jump in deep wells from different heights, swimming in clear waters, rappel, etc. On the way to the hills of the Sierra Nevada, Minca is the first town you will hit. We can pick you up from your hotel in Santa Marta or from the airport at an added cost. If you travel on your own car, take the road from Santa Marta to Minca from the Mamatoco Gas Station. Once in Minca, 50 metres before the bridge over the river, make an "U" to the right, at 50 metres more turn right and straight to the Ecohabs.